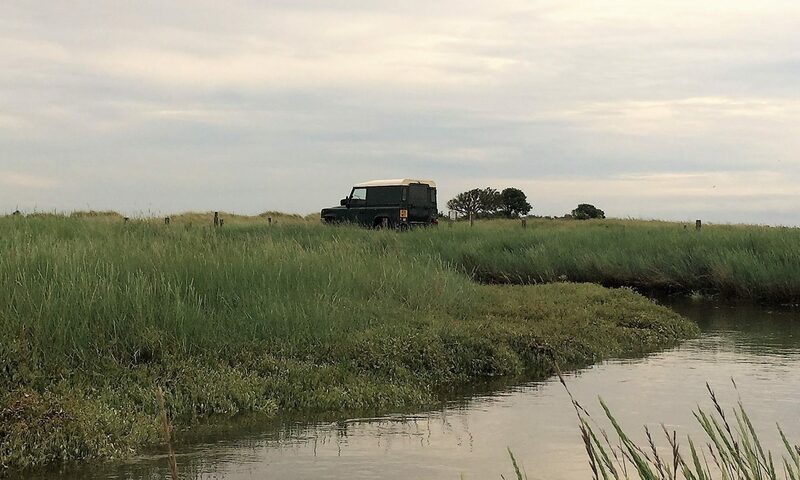 Tales from the SHED, or the ramblings of a 60 year old UK Shooter and RFD. Am I wrong to say I am a huge fan of the 6,5x55SE when I have never owned one? 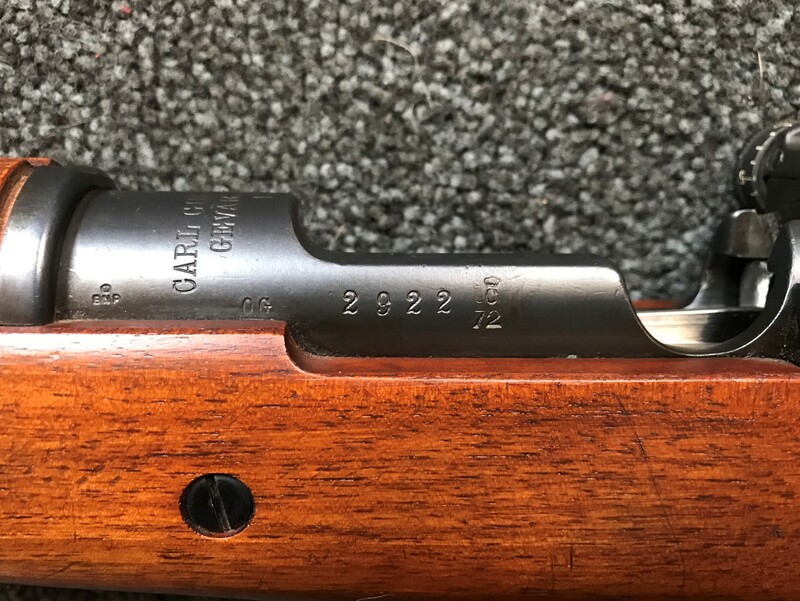 Well it was all change a few days ago when I managed to source a very pretty Carl Gustaf CG63 target rifle chambered in the never before owned by me 6,5x55SE. Ah but what is the CG63 and why choose it as a first 6,5×55? Now that is a very good question and given that I just hit 61 years a short while ago with eyes to match it did make me wonder a bit as well. The truth is I am looking for a more challenging type of shooting and we already have a few .22LR target rifles from the 60’s and 70’s so why not add a centre fire. So I did and this is probably one of the most accurate 300-600m of its time at that. 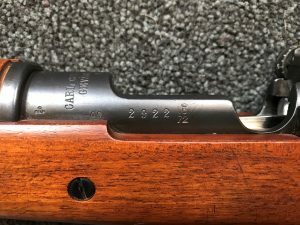 This particular CG63 was originally a Swedish Army rifle Model 96 and the receiver stamp shows it was manufactured in 1898 so 120 years ago this year (2018) I have no idea what the rifle did for the following 70 odd years however in 1972 Carl Gustaf chose this rifle to become a CG target rifle. The stock and barrel were discarded as was the trigger, leaving just a bolt and receiver. To this a heavy free barrel 740,0mm in length was added to the refurbished action, a new firing pin spring and cocking piece fitted and the two stage trigger tuned to match standard. The barrelled action was then fitted to a one piece stock with a fully floated barrel and the rear of the receiver machined to accept a GF dioptre sight to accompany the Elit (As opposed to Elite) sight at the front. The year of conversion is clearly marked as the number 72 under a crown and the letter C, to the left is the serial number and the British Proof mark to the extreme left of the receiver. Very nice I look forward to the range report. David on T3x TAC A1 rear bag rider.